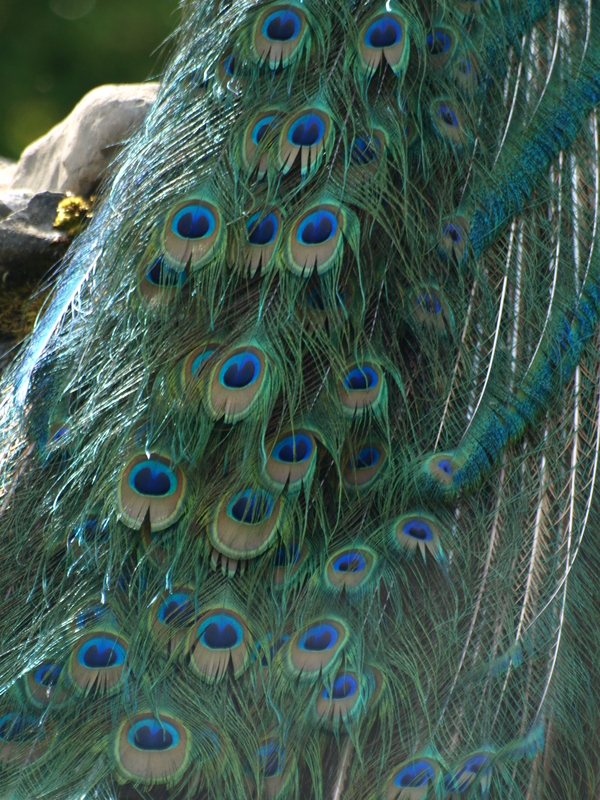 Which creature or who do you think has true beauty to show off? 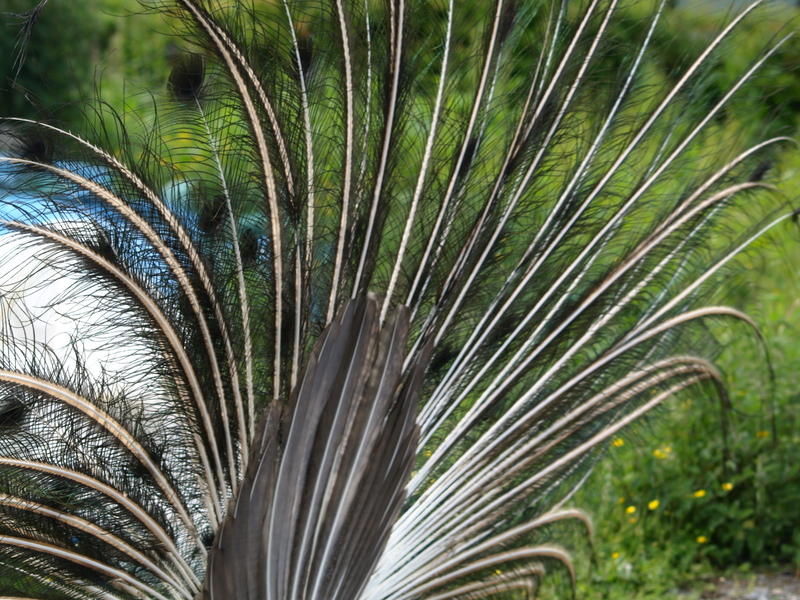 Go on, make a guess. 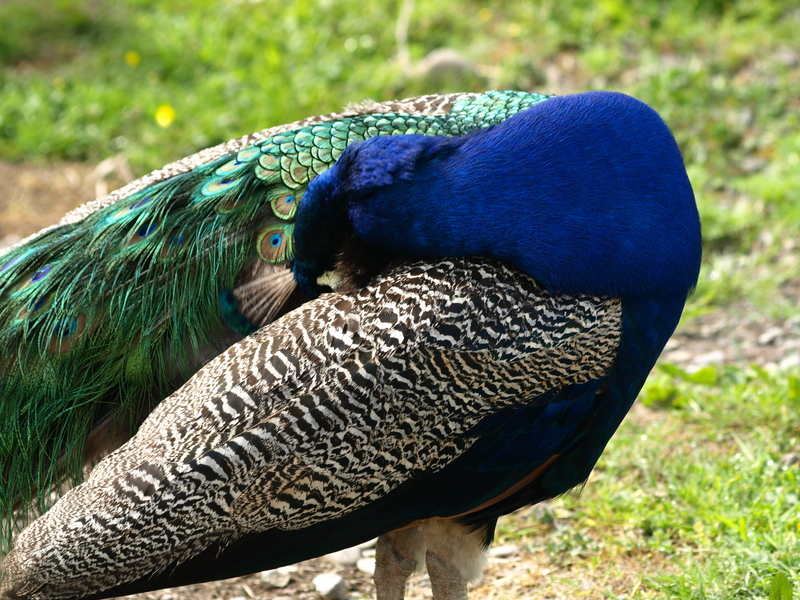 I’m sure by the time you have finished viewing the photographs in the attachment you will agree the rightful place belongs to none other than to Mr. P…… ! 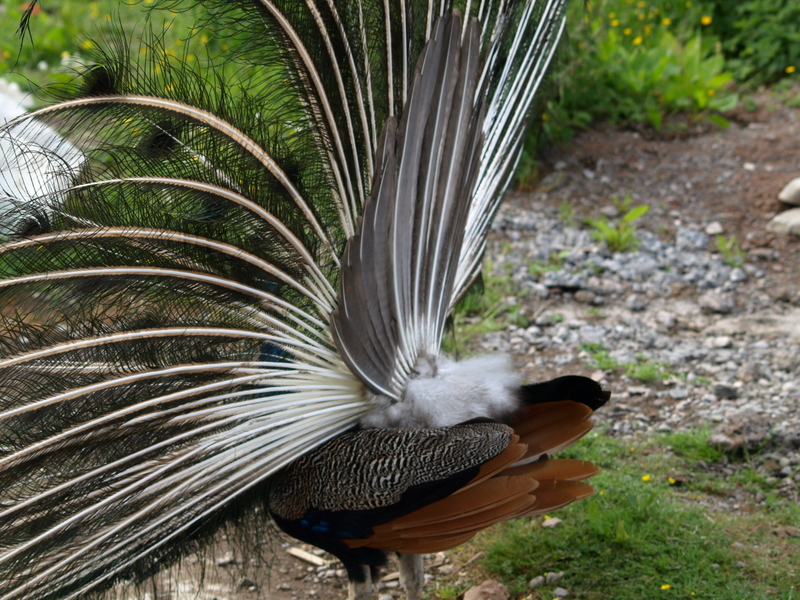 Yes it goes to a male, not a female !!! 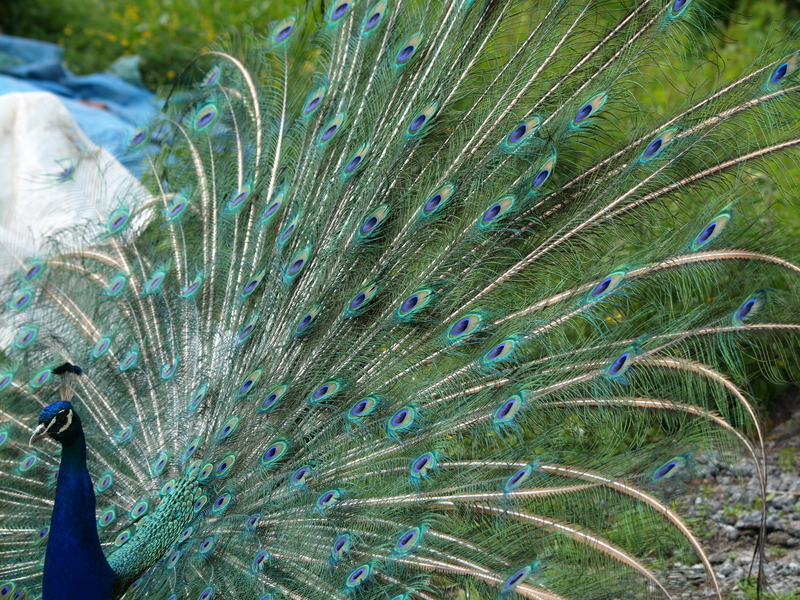 Does that surprise you? 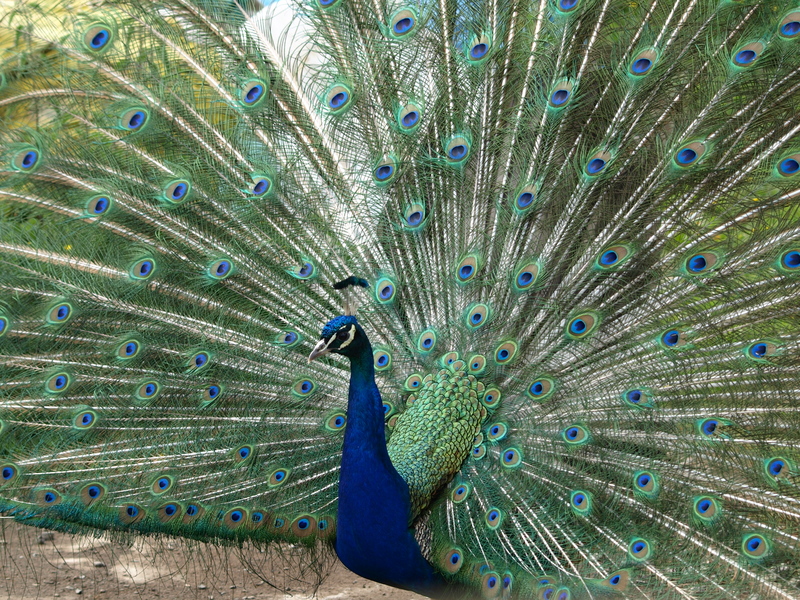 Don’t be for he has all the attributes to prove it. 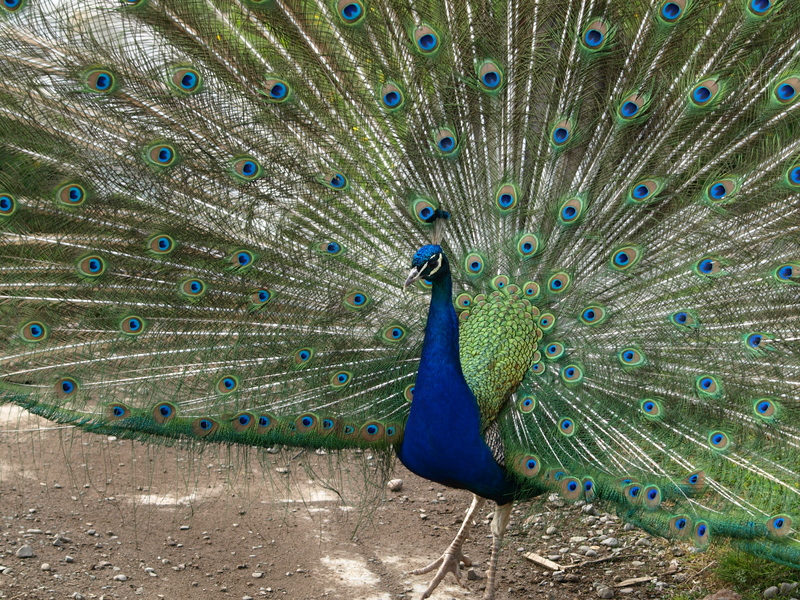 See the Dance of True Beauty here…. 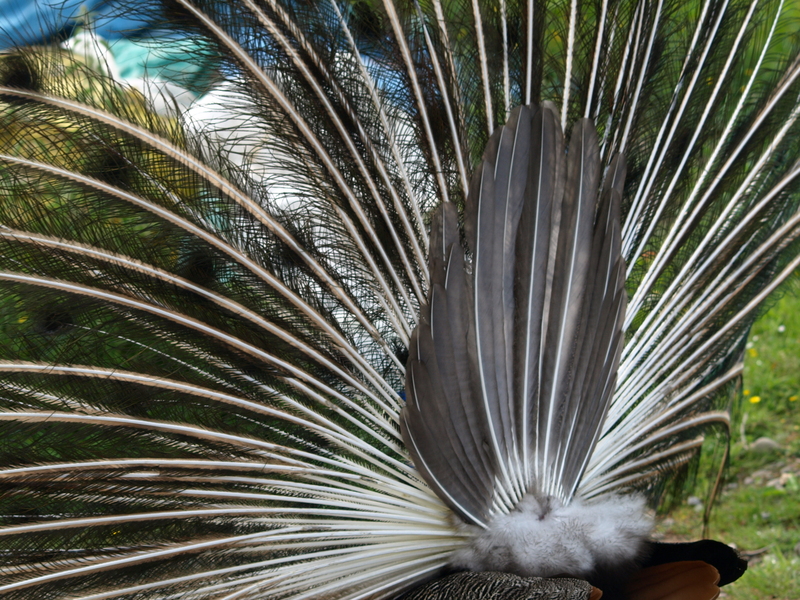 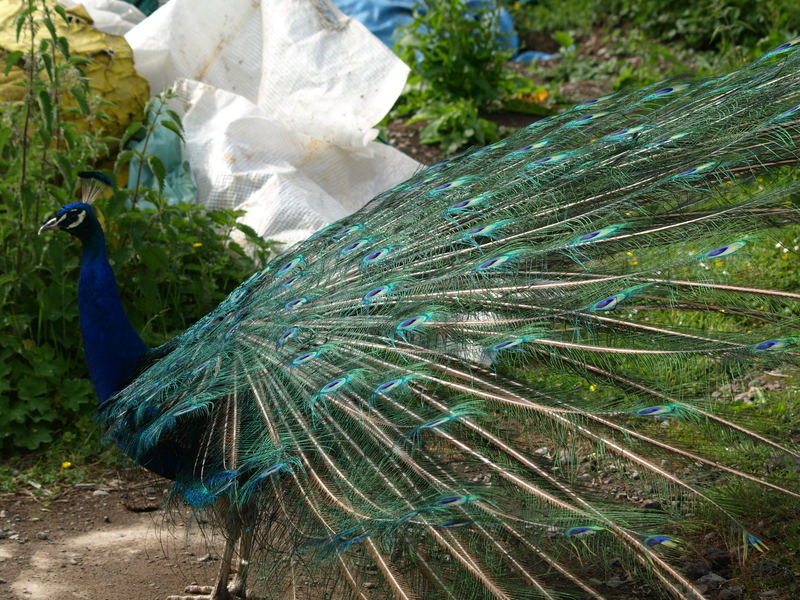 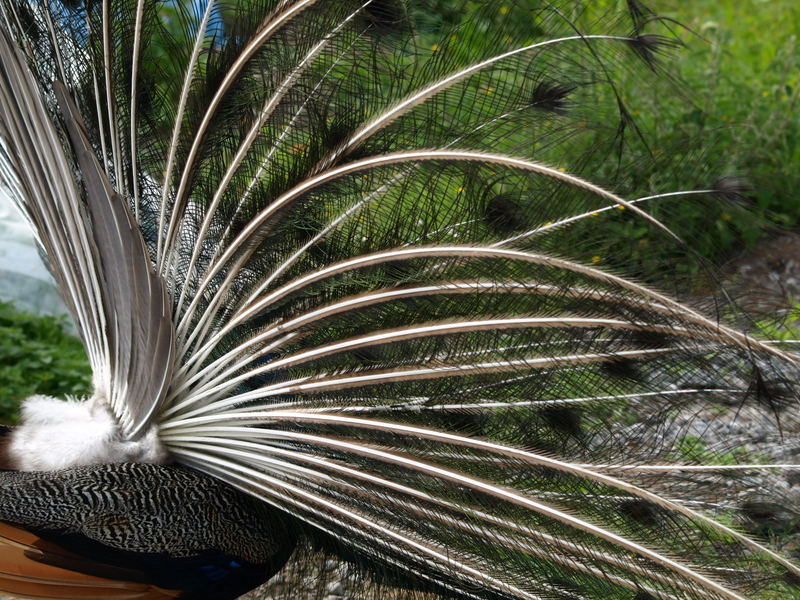 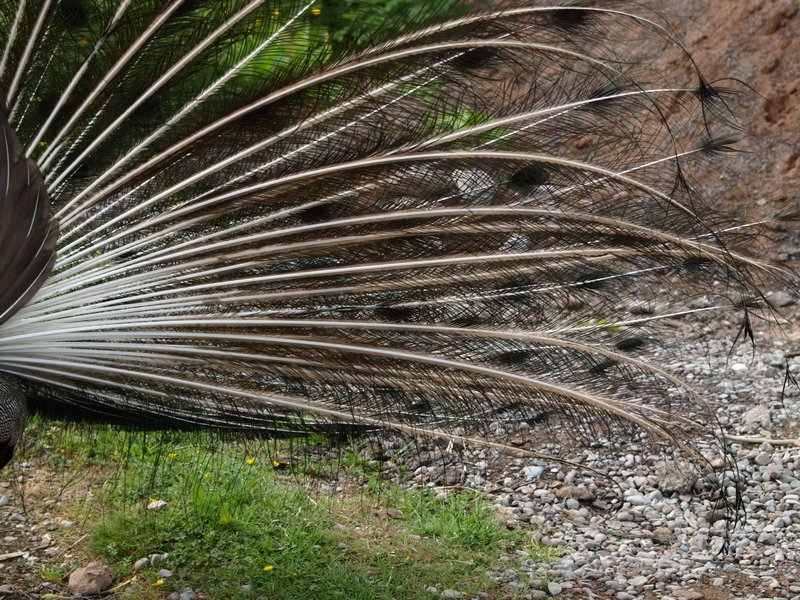 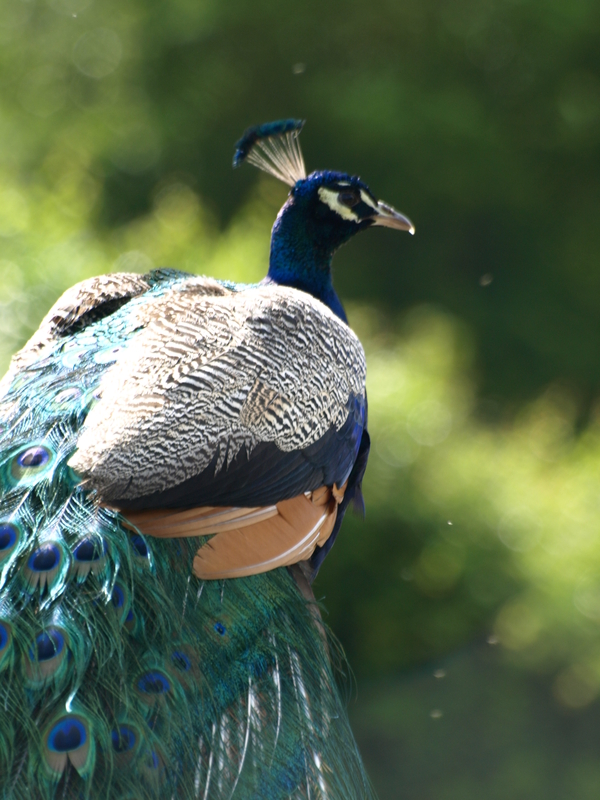 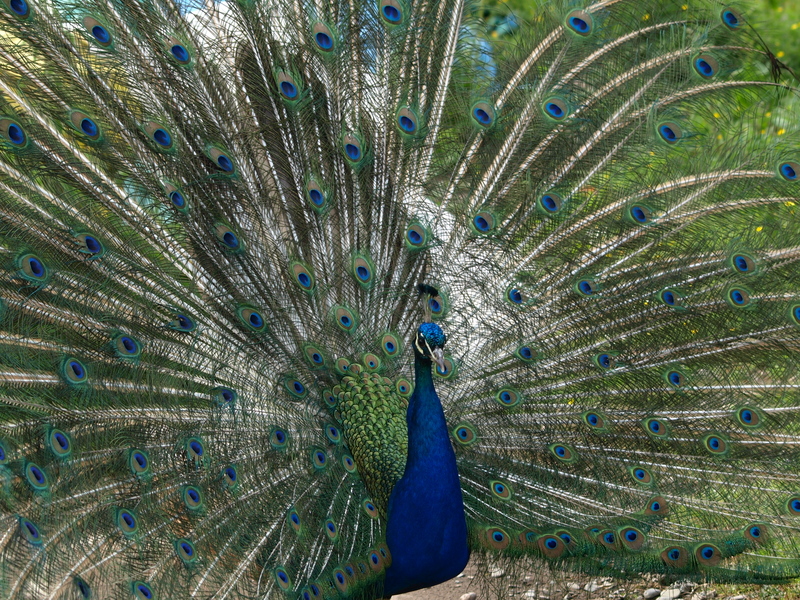 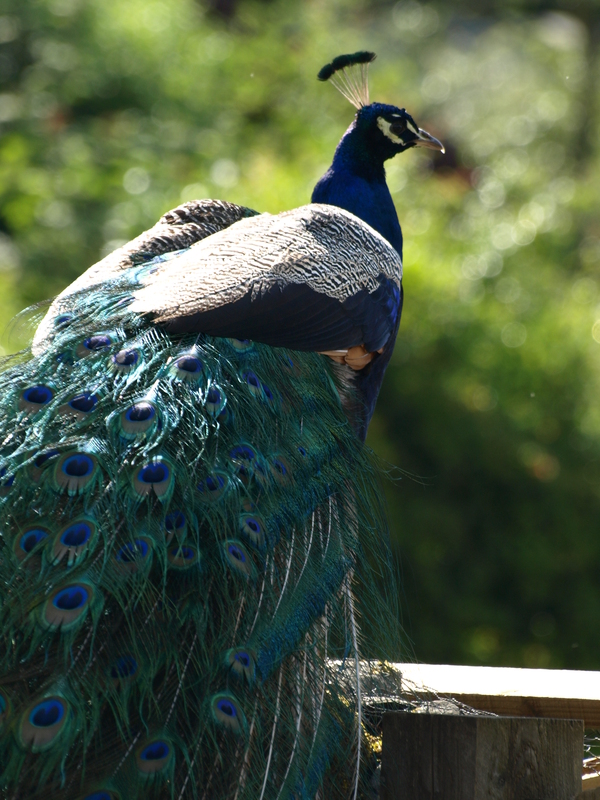 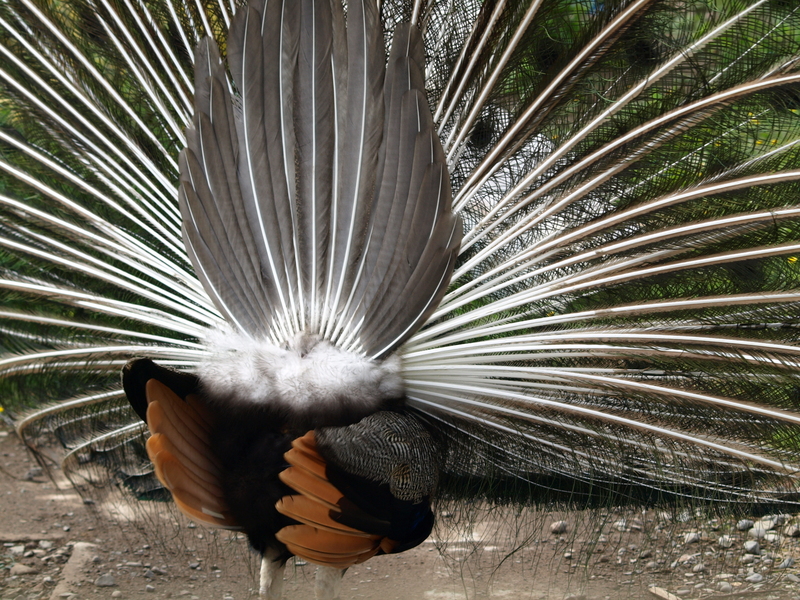 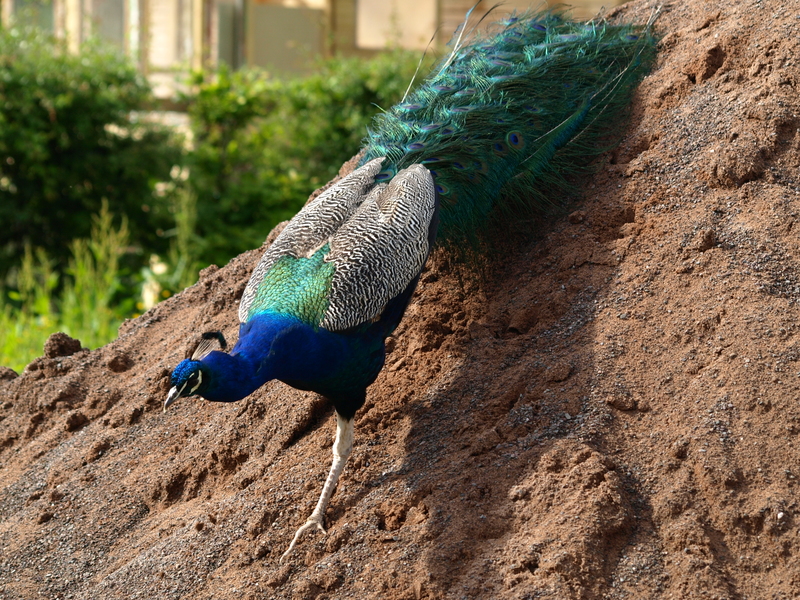 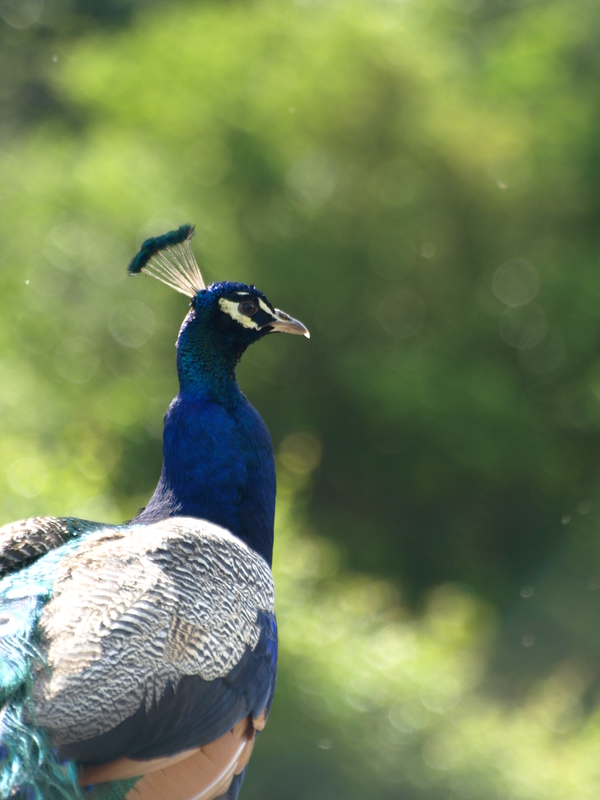 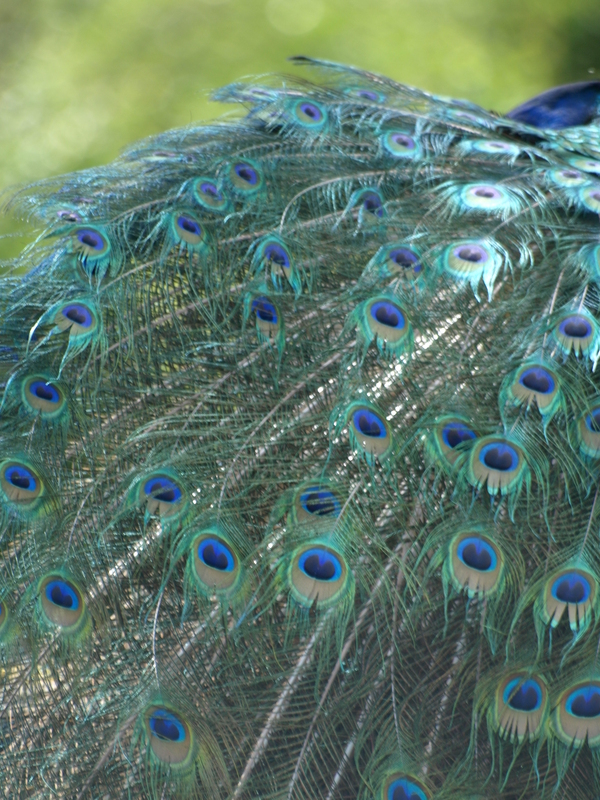 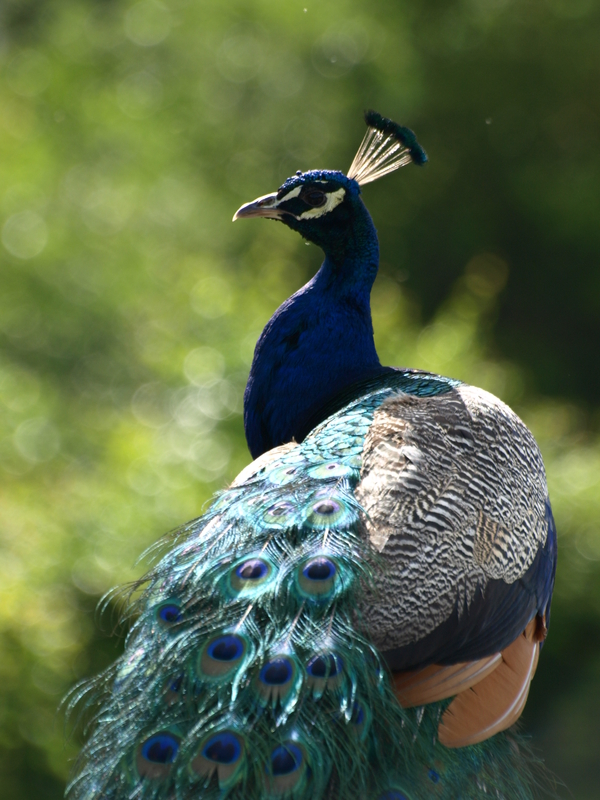 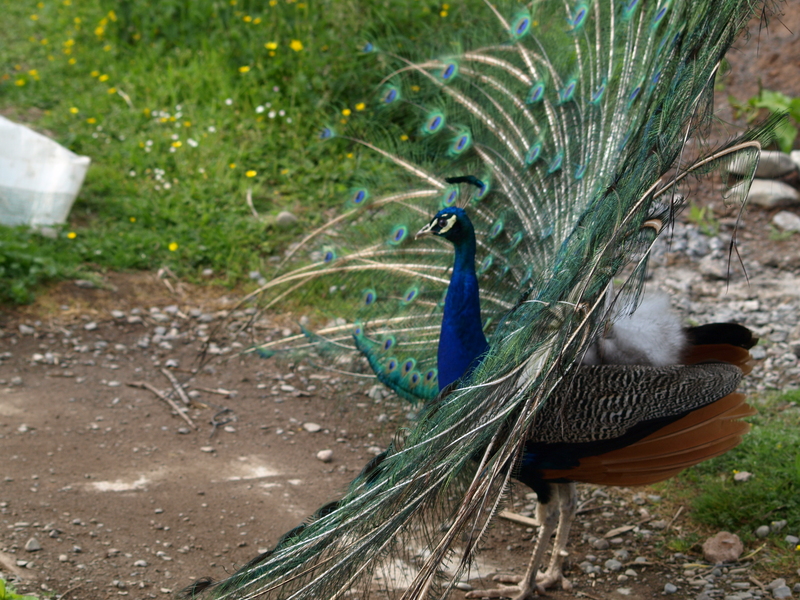 The male peacock putting on a show, rightfully displaying his given beauty for our appreciation. 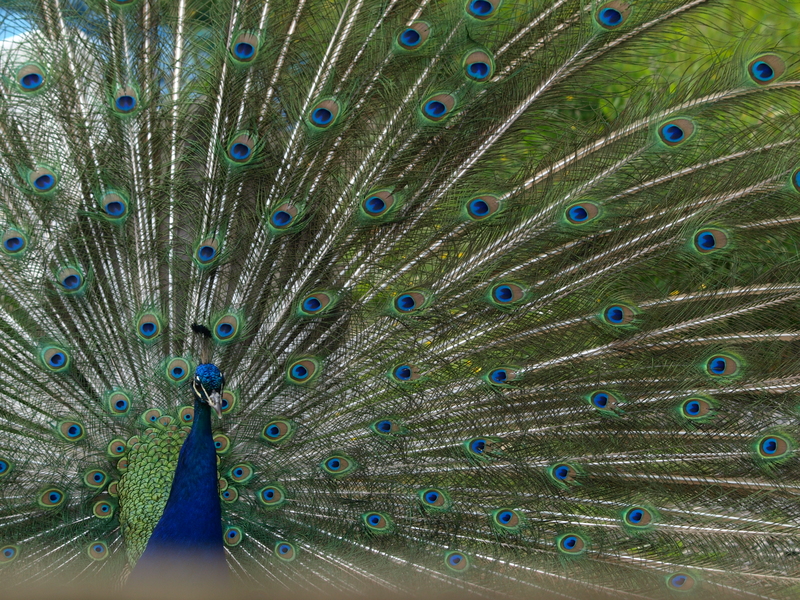 The male peacock putting on a show, rightfully displaying his given magnificence. 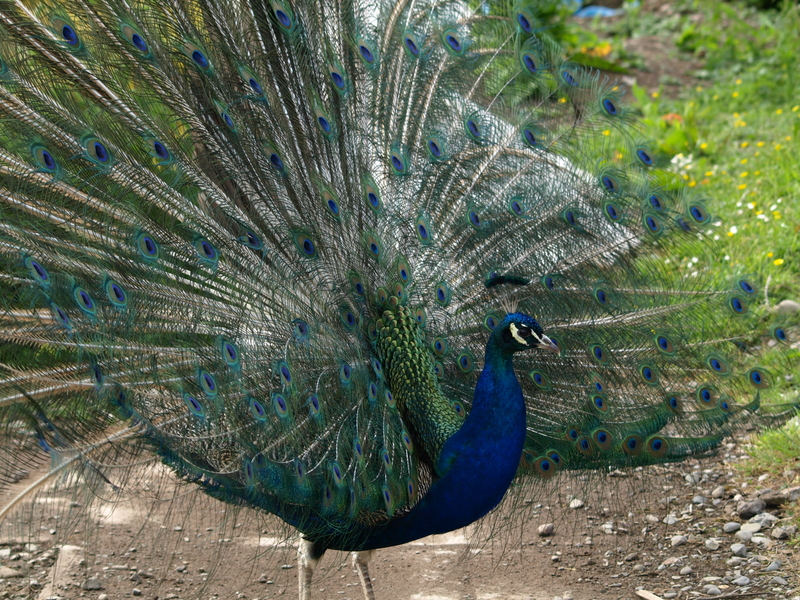 The peacock putting on a show, rightfully displaying his given magnificence. 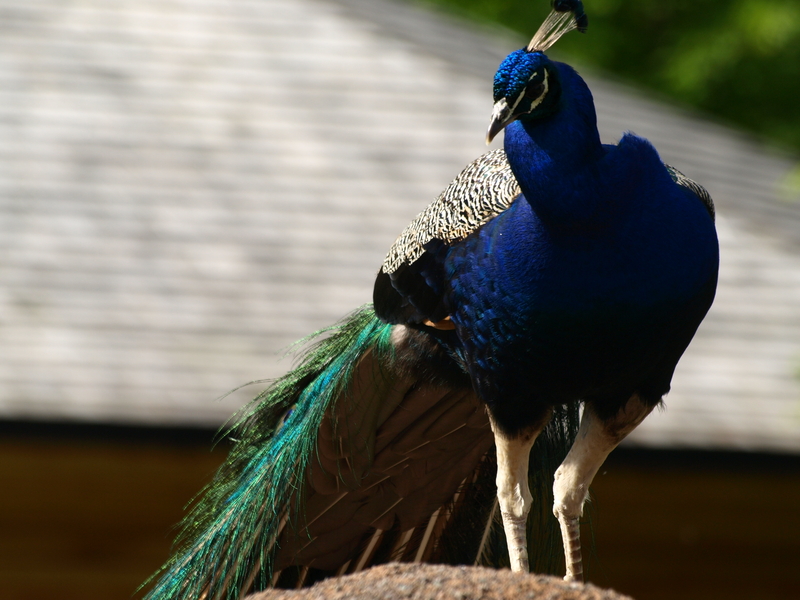 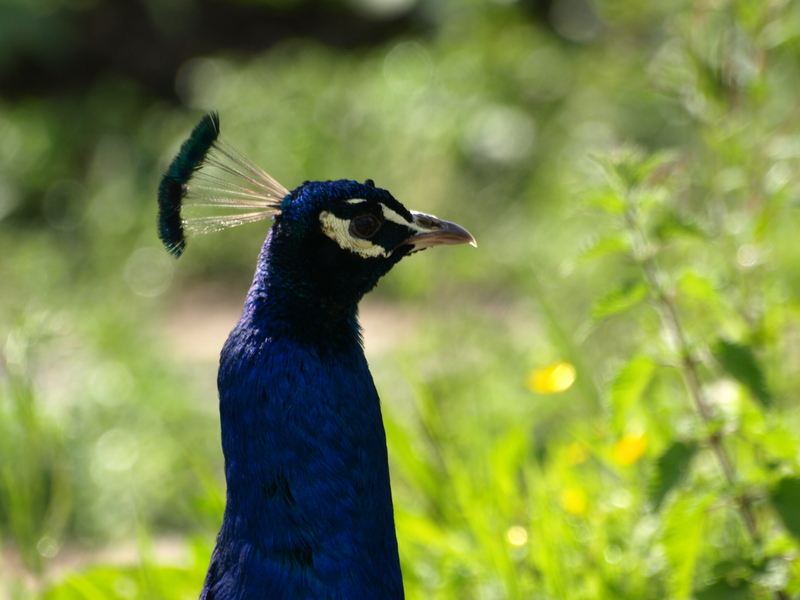 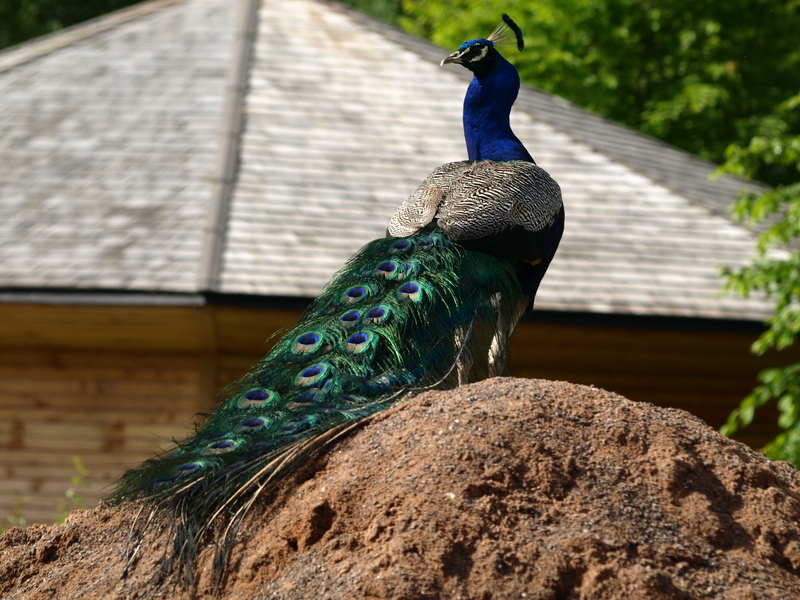 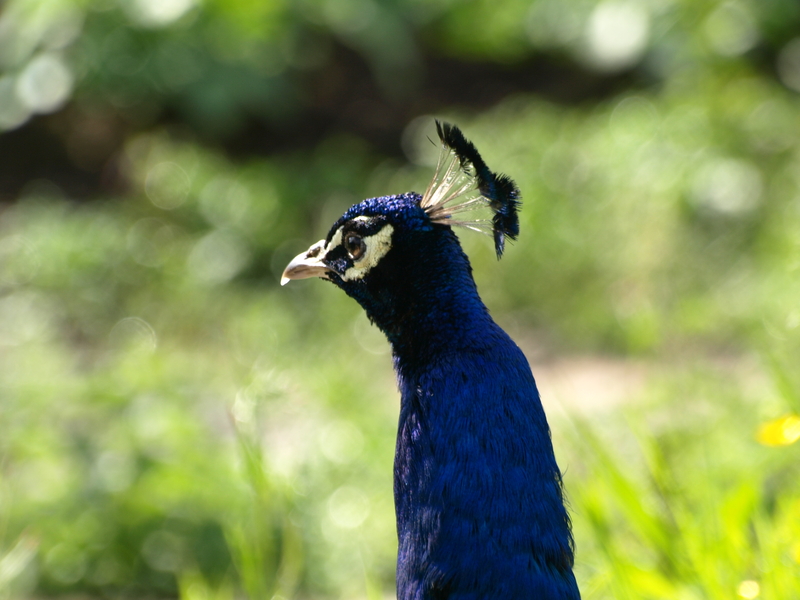 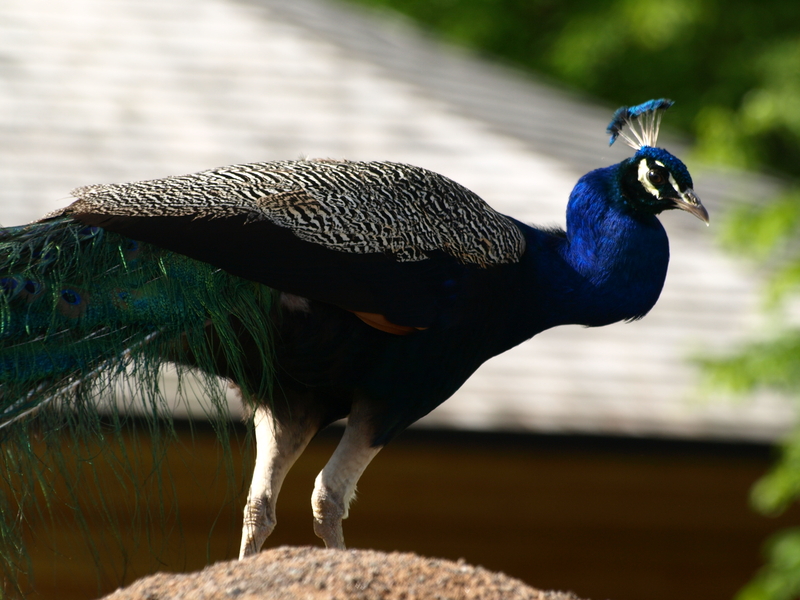 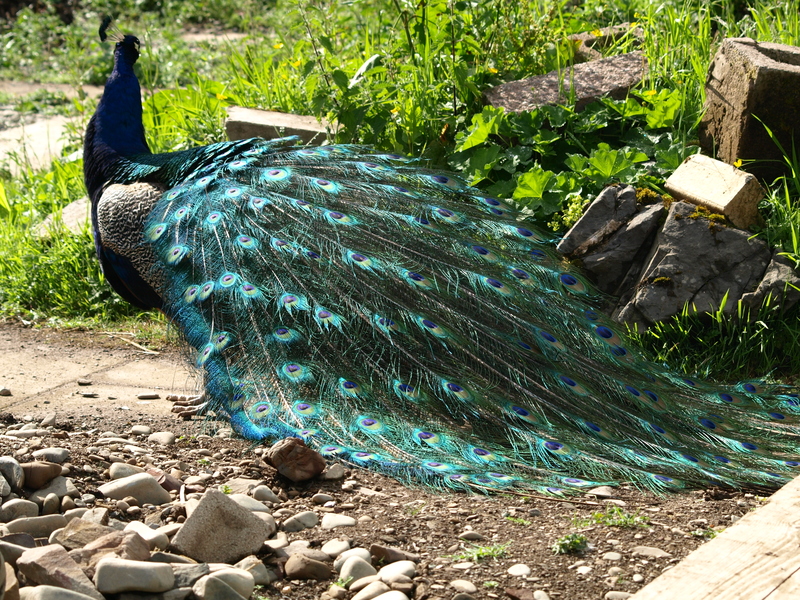 I’m sure having seen the photographs you will agree that the first place for natural beauty goes to none other than our Mr. Peacock. 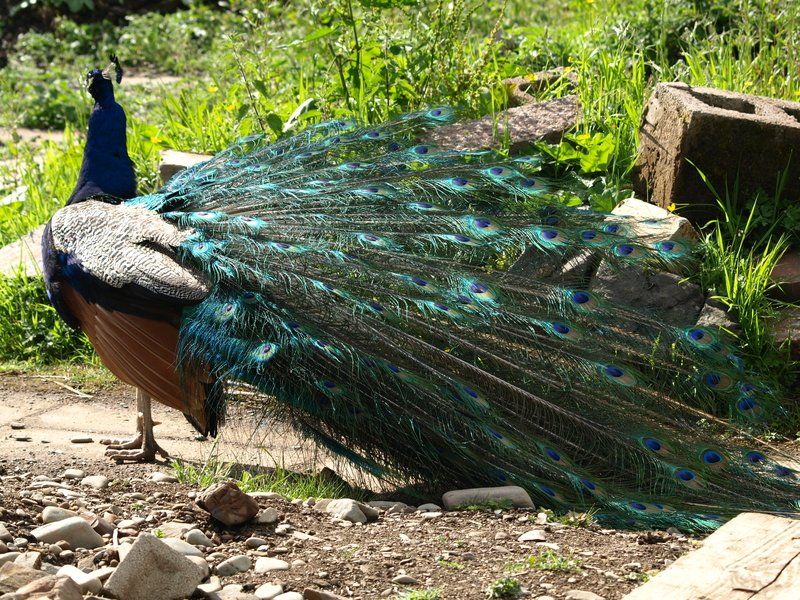 This huge bird is quite vain. 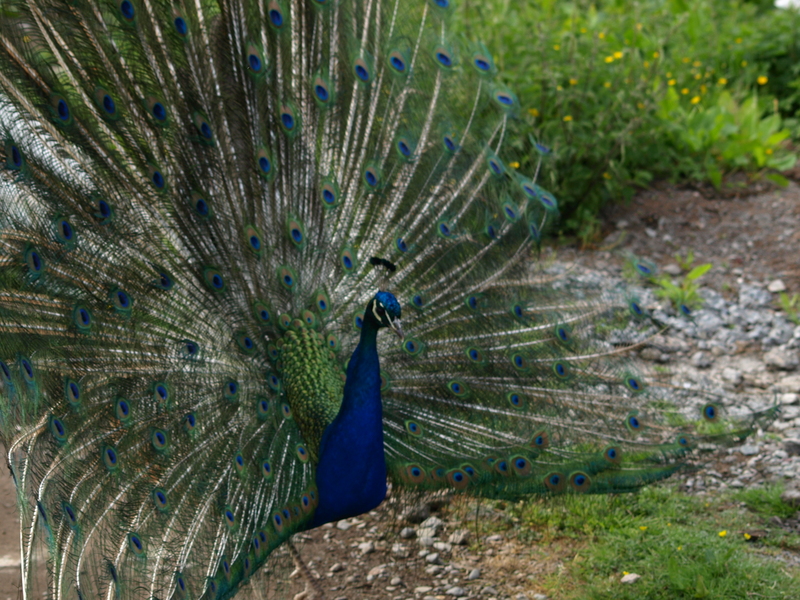 He knew I was interested in photographing him in his dance. 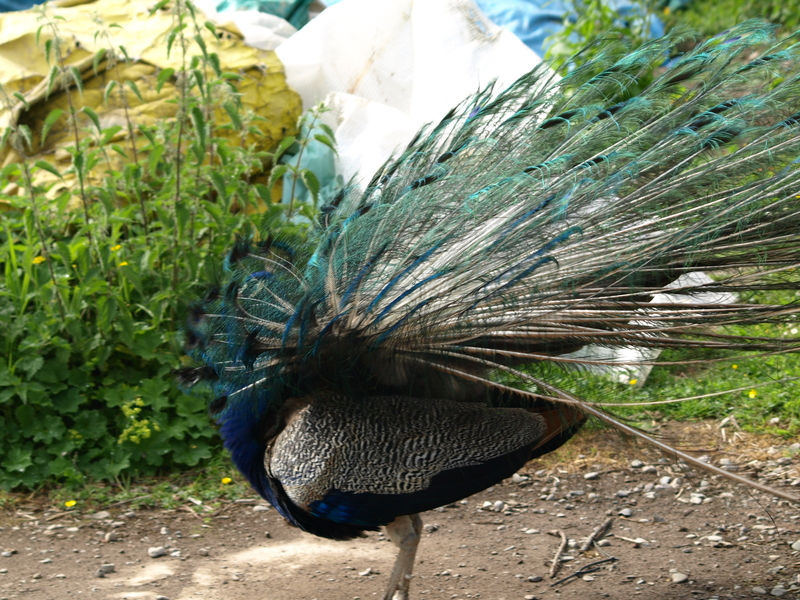 But he took his time walking around, teasing me with his ‘couldn’t careless attitude’ until I have to tell him I want to post his photos in the website to show others how beautiful he is. 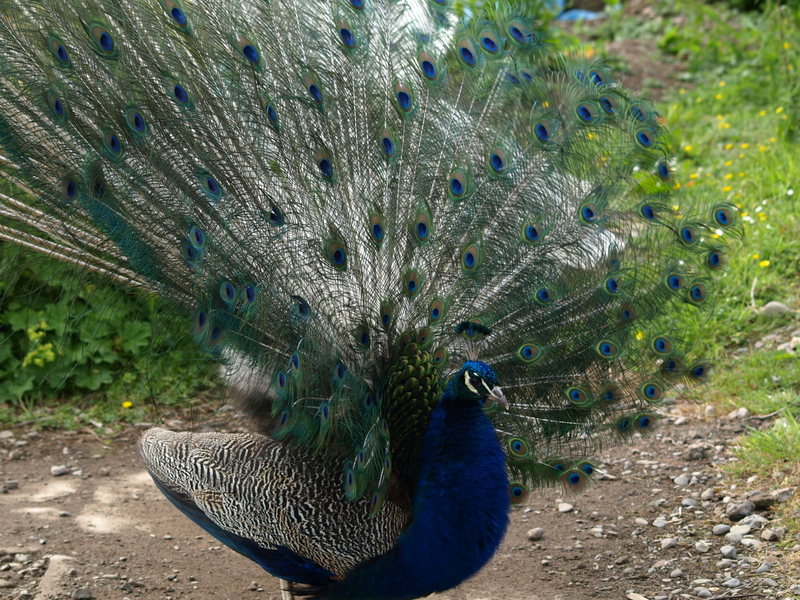 Yet he kept me waiting for a good twenty minutes before he unfurled the brilliant-coloured ‘fan’ of his. 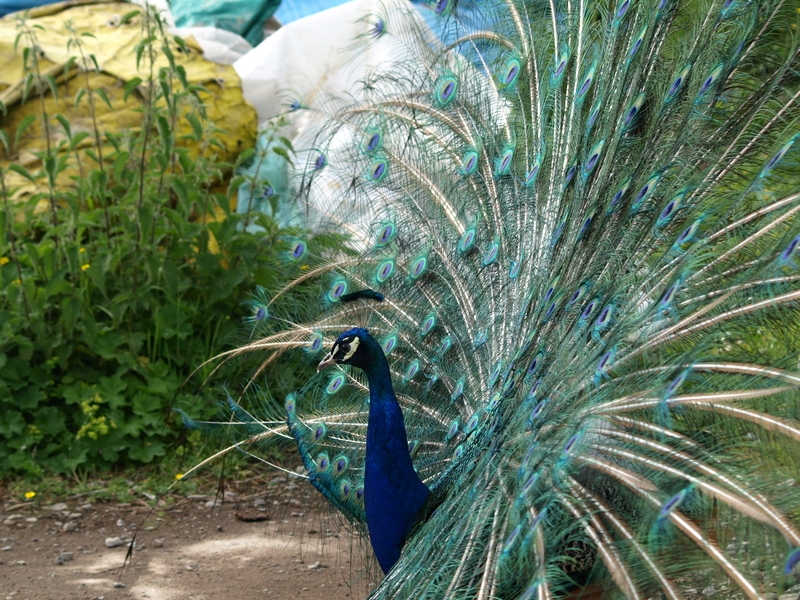 I was thrilled to be there to watch its slow dance. 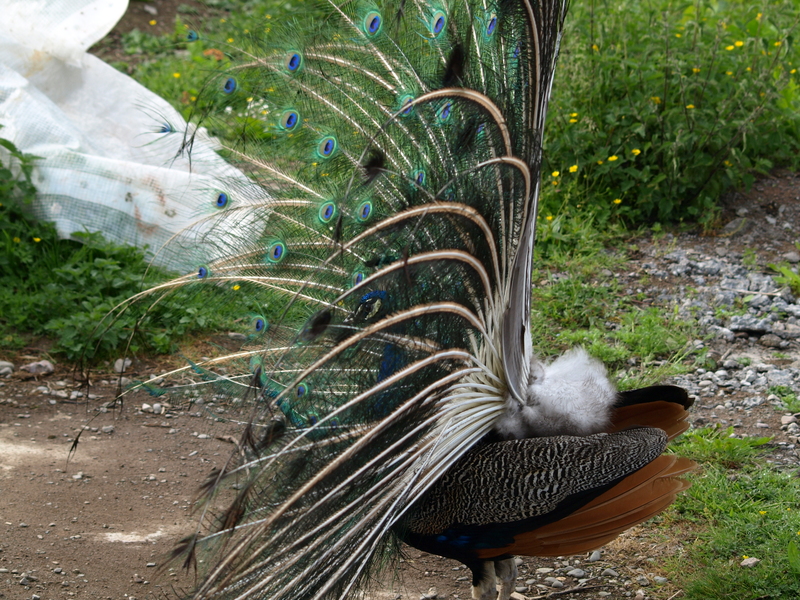 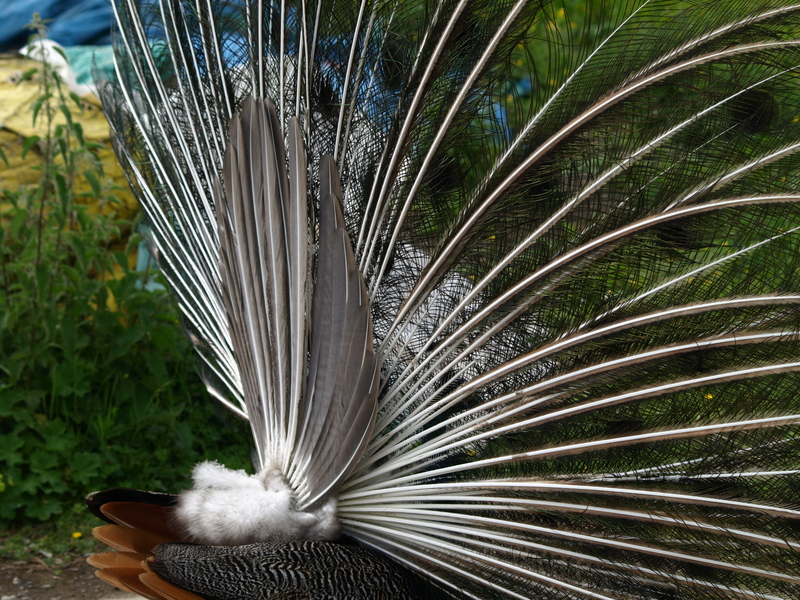 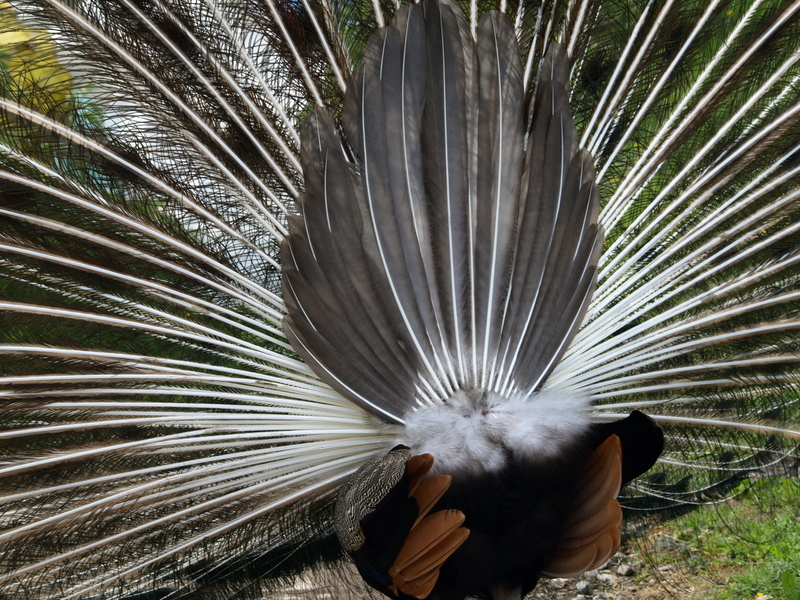 He stretched his feathers to its full width. 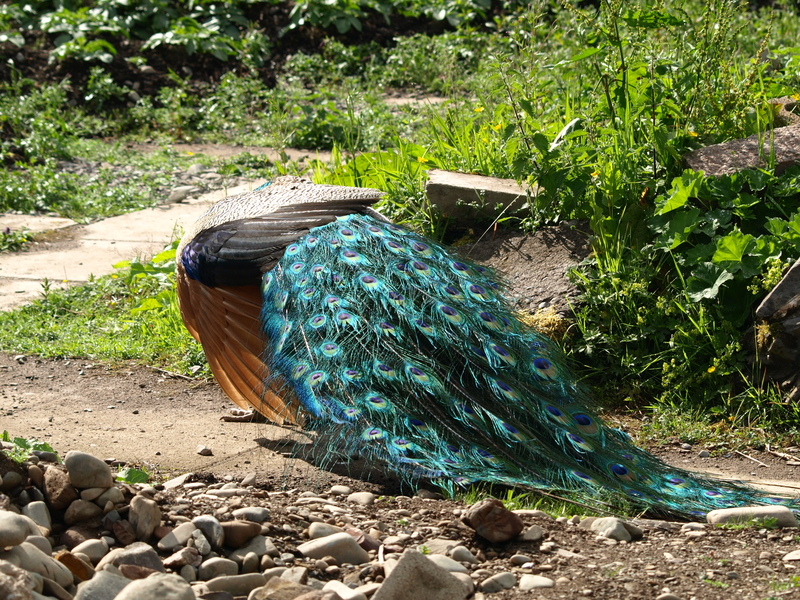 The colours were really exquisite. 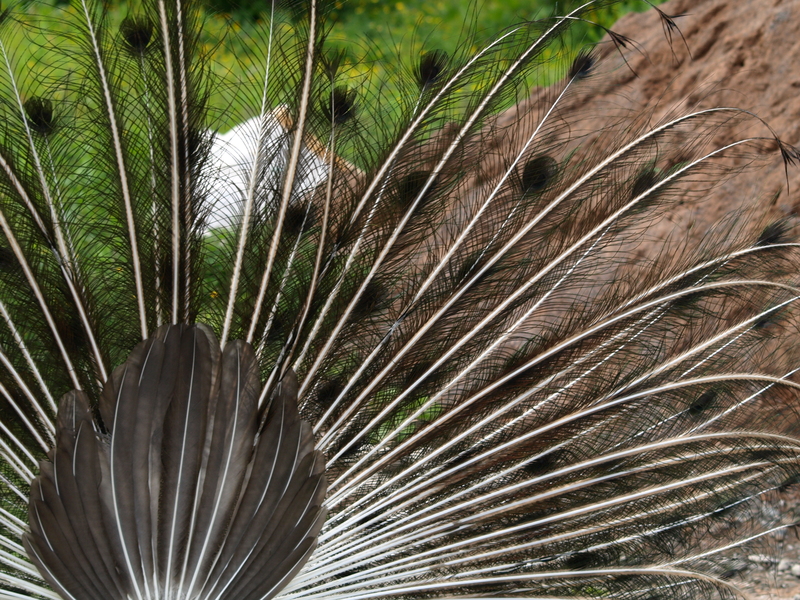 He chuckled as he turned a full circle, as if asking me not to take my eyes away from the show. 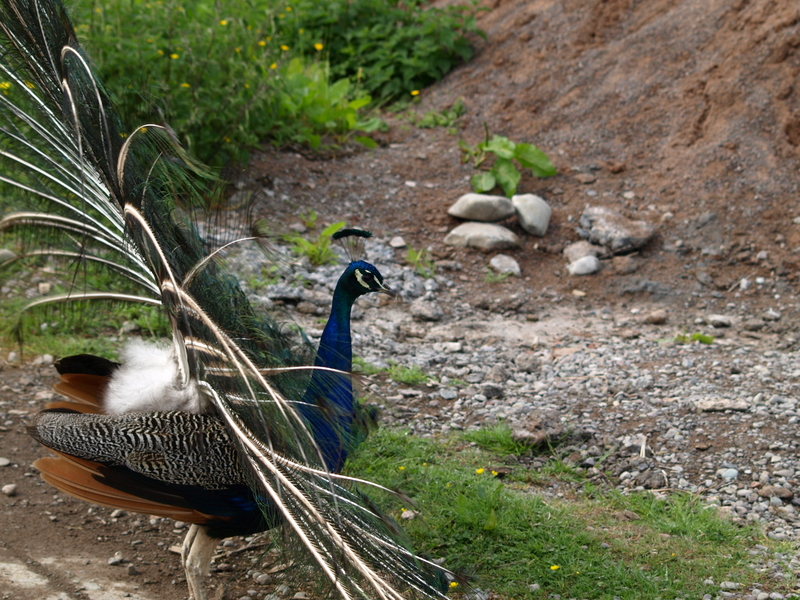 But the wait was worth it and I am glad I have them to share them with all of you. 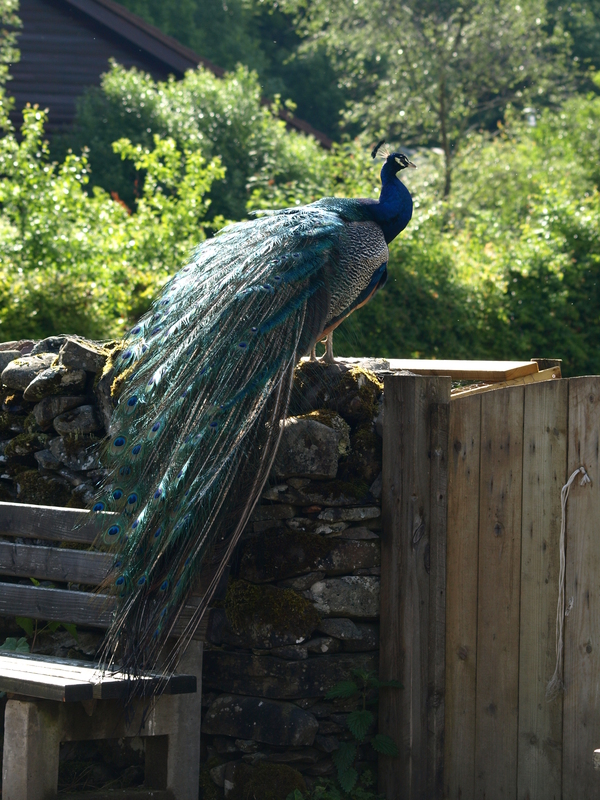 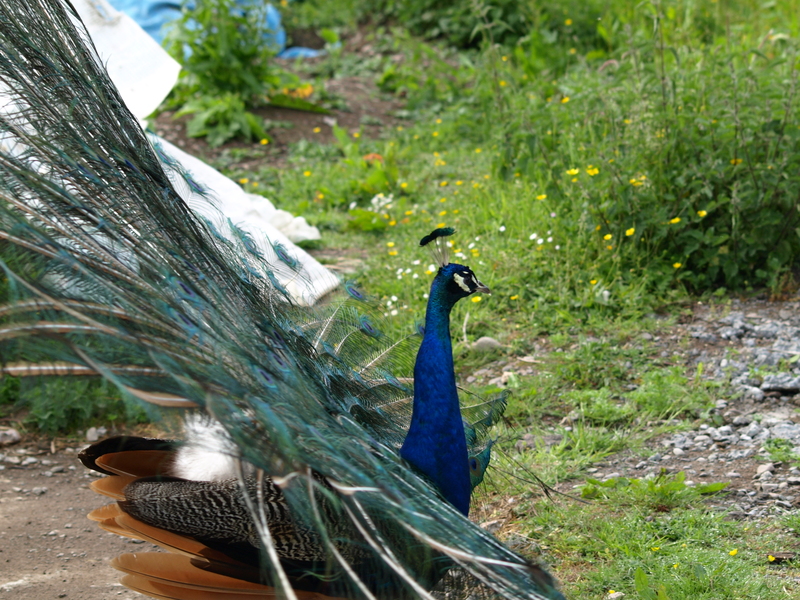 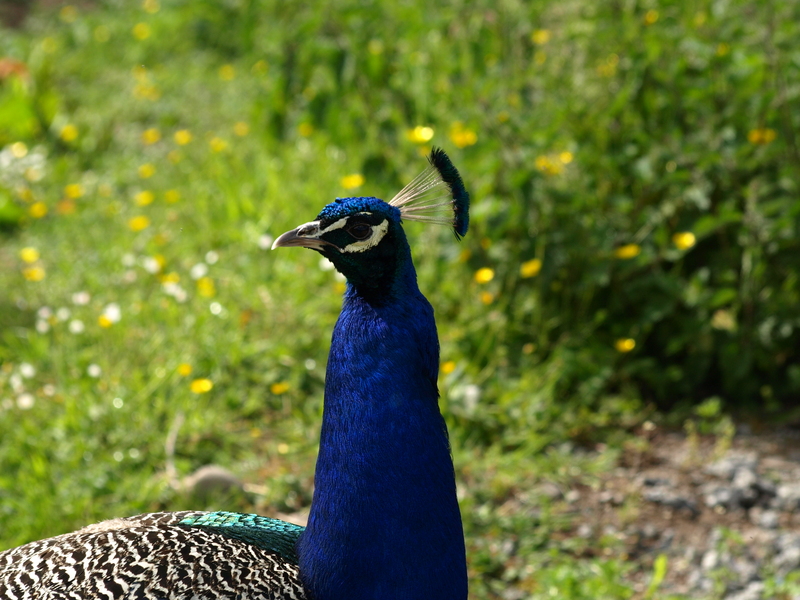 By the way, Mr. Peacock and his friends reside at Samye Ling ( a Tibetan monastery) in Scotland. 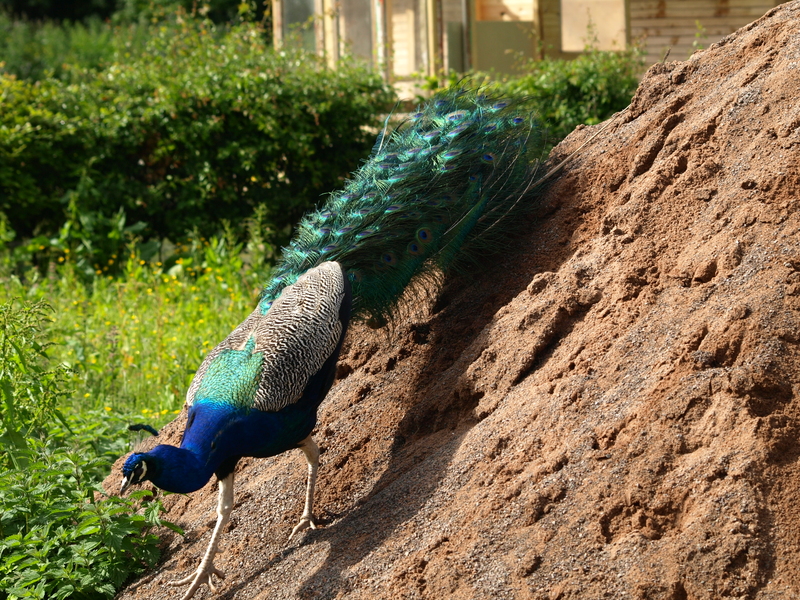 He and his pals has a free run of the whole place. 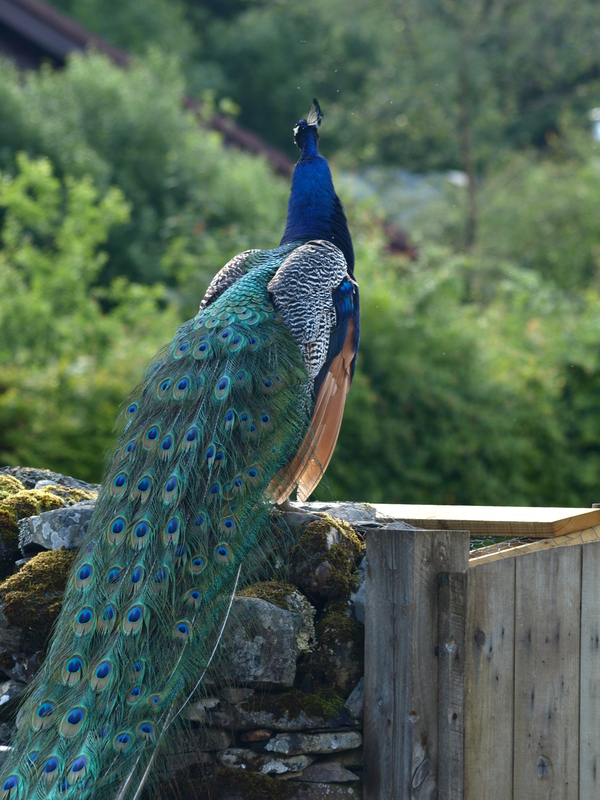 They, instead of the cockerels, wake the guests up early each morning.